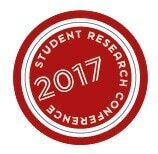 The clash between mutual recognition, fundamental rights and public security | Student Undergraduate Research E-journal! This article focuses on the recent judgment of the Court of Justice, Aranyosi and Caldararu. After conducting a legal analysis on this case, three issues are identified and they are separately discussed in three sections. The aim of this paper is to show the impact of this judgment on public order and public security in Europe on the one hand and on the individual’s fundamental rights, on the other hand. It is going to be argued that even though there are limits to the principle of mutual recognition, this new exception based on fundamental rights establishes a new procedure for non-surrender. Therefore, the Court of Justice creates a non-execution ground which the EU legislator did not intend to include in the Framework Decision on the European arrest warrant. This is explained by looking at the three interconnected notions of Freedom, Security and Justice. POPA, Elena Emilia; PANTALEO, Luca. The clash between mutual recognition, fundamental rights and public security. Student Undergraduate Research E-journal!, [S.l. ], v. 3, p. 139-143, dec. 2017. ISSN 2468-0443. Available at: <https://journals.open.tudelft.nl/index.php/sure/article/view/2547>. Date accessed: 23 apr. 2019. doi: https://doi.org/10.25609/sure.v3.2547.